The long awaited Food Safety Modernization Act (FSMA) reform was published by the US Food and Drug Administration (FDA) earlier this month. According to the Center for Disease Control and Prevention, approximately 48 million people get sick in the US every year and 3,000 die from foodborne diseases. With FSMA, the FDA hopes to significantly reduce the number of illnesses caused by compromised or contaminated food. FSMA is a significant step forward by regulators towards preventing and minimizing the number of cases rather than responding to existing food safety problems. According to the FDA, this is the first time it has a legislative mandate to ensure specific requirements and controls be met across the food supply in order to develop a comprehensive food safety system. 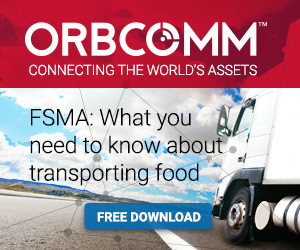 What does FSMA mean for food transporters? The final rule outlines new sanitary practices for businesses involved in the transportation of human and animal food by motor or rail vehicle—shippers, loaders, carriers and receivers—making them accountable for preventing contamination and ensuring product integrity at delivery. Transportation operations: Proper written procedures must be provided by shippers for the safe transport of food. Specifically, for temperature-controlled products, this means outlining pre-cooling requirements, adequate temperature controls during the transportation phase as well as loading and unloading procedures. Training: The party responsible for sanitary conditions during transport must be trained on sanitary transportation practices. All training must be documented. Record keeping: Carriers are expected to maintain—and provide records upon request—of written procedures, training , agreements and shipment data relating to transportation operations for up to 12 months after the service took place. Ultimately, much of the responsibility falls on shippers to properly outline requirements and procedures and clearly define who the responsibility falls on when it comes to maintaining proper sanitary conditions along the food supply. Companies are expected to start compliance of the new regulations as early as one year after the final ruling is published by the Federal Register. Are you a refrigerated transport company? If so, submit your comments below and let us know what measures you’re planning on implementing as a result of the FSMA reform. 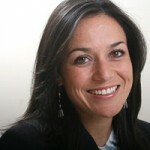 To learn more, and to download the Simplified Guide to FSMA for Food Transporters, visit http://www.fsmaready.com. ‹ Discover the RoI of the IoT at RFID Journal LIVE! 1 Pings/Trackbacks for "What the Final FSMA Rule Means for Transportation and Logistics Professionals"